SiO2 – Silicon dioxide is one of the simplest materials to measure, primarily because it is non-absorbing (k=0) over most wavelengths and is usually very close to being stoichiometric (i.e. the Si:O ratio is very close to exactly 1:2). 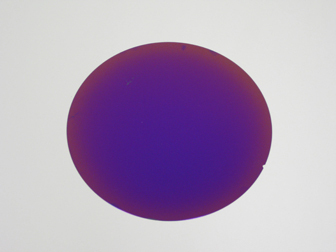 Thermally-grown SiO2 is particularly well-behaved and is commonly used for thickness and refractive index standards. 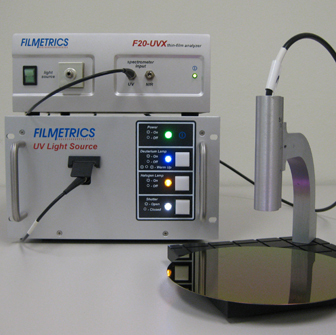 Filmetrics has systems that can measure SiO2 from 3nm up to 1mm thick. Si3N4 – The measurement of silicon nitride films is more challenging than that of many other dielectrics because the film’s Si:N ratio is rarely exactly 3:4, and thus the refractive index must usually be measured along with the film thickness. To complicate matters, oxygen is often unintentionally incorporated into the films, creating silicon oxynitride to some degree. 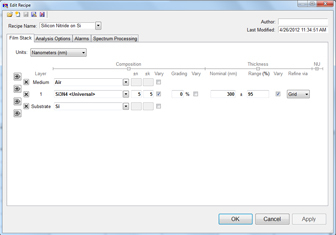 Fortunately, our systems allow complete characterization of your Si3N4 film in seconds, with only a single mouse-click! 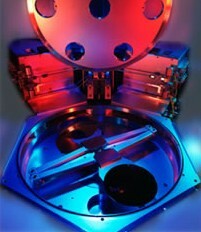 Contact our thin-film experts to discuss your dielectric application. Silicon nitride films are widely used in the semiconductor industry as dielectrics, passivation layers, or mask materials. 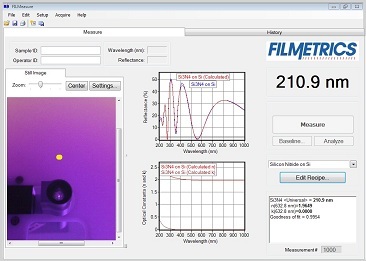 In this example, we successfully measure the thickness, refractive index, and extinction coefficient of a thin SixNy film on Si using our F20-UVX instrument. One interesting note is that the optical properties of SixNy films are correlated to the stoichiometry of the film. By using our F20-UVX along with Filmetrics’ proprietary silicon nitride dispersion model, one can easily measure the thickness and optical properties of SixNy films regardless of whether they are Si-rich, Si-poor, or stoichiometric.